A beautiful example of a pre-owned Rolex Lady Datejust President in 31mm with Mother of Pearl diamond dial. This watch was only owned for a few months and is in pristine condition. 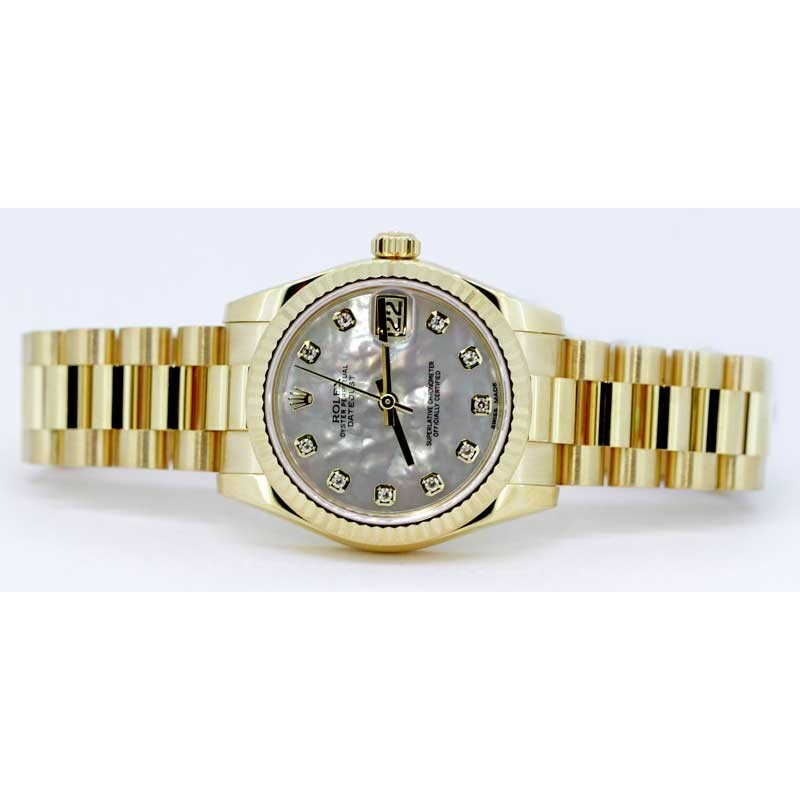 This Rolex watch has a 31mm yellow gold case, fluted bezel, factory Mother of Pearl diamond dial and yellow gold hands. 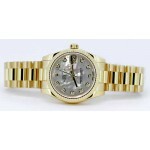 The movement is a Rolex design Swiss made, thirty one jewel officially certified automatic. The bracelet is a Rolex design President style with a hidden flip lock clasp. his watch is in extremely fine condition with a very tight bracelet. Fresh from factory Rolex service and two year world-wide factory service warranty.